So this past weekend I went home back to New Hampshire to spend time with family and friends. It was a very nice rest after a very long month of wedding cakes. I think the highlight of my weekend was hanging out with one of my best friends, Steff and her boyfriend Ken and we went to Hampton Beach State Park in New Hampshire to take in some sun and relaxation. One of the sights Steff and Ken wanted to show me was the sand sculptures. For all of you sugar artists out there…I think you can easily translate your medium into sand! They had a few sand sculptors on hand to demonstrate their techniques and they use a lot of similar tools that we use here in the bakery. Who knew? The sculptures were really amazing, they pay just as much attention to detail as we do on our cakes. 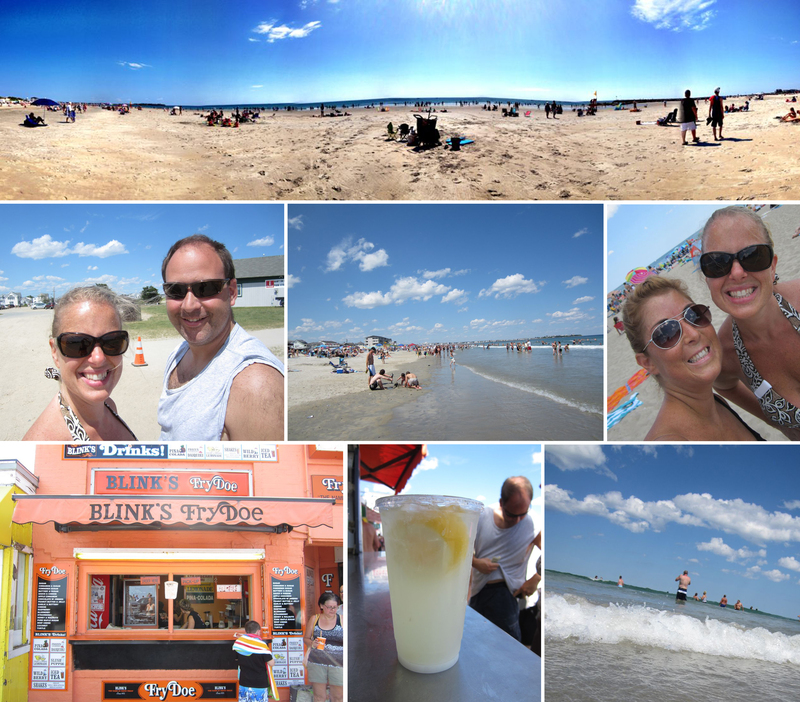 It was a beautiful day at Hampton Beach State Park in New Hampshire, blue skies, great friends and old NH beach favorites! 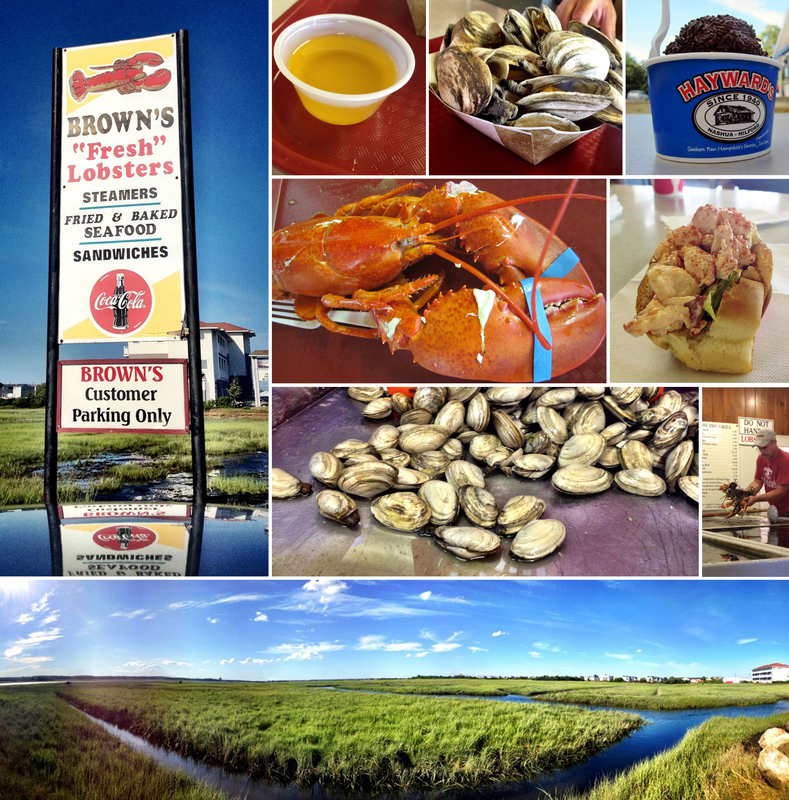 A trip to the beach is not complete without going to Seabrook, NH to Brown’s for lobster, steamers and lobster rolls. The view for our dinner was spectacular! Of course to end our fantastic day, a scoop of homemade ice cream from Haywards in Nashua, NH before I went back to my parents house. It was a great weekend! I’d love me a lobster roll and some o’ that frydoe (what IS frydoe, anyway?)! Terrific holiday! Thanks so much for sharing it with us. Just found your blog, and have now read the entire thing, in order. A question: can one EAT the sugar flowers? Oh, wow! 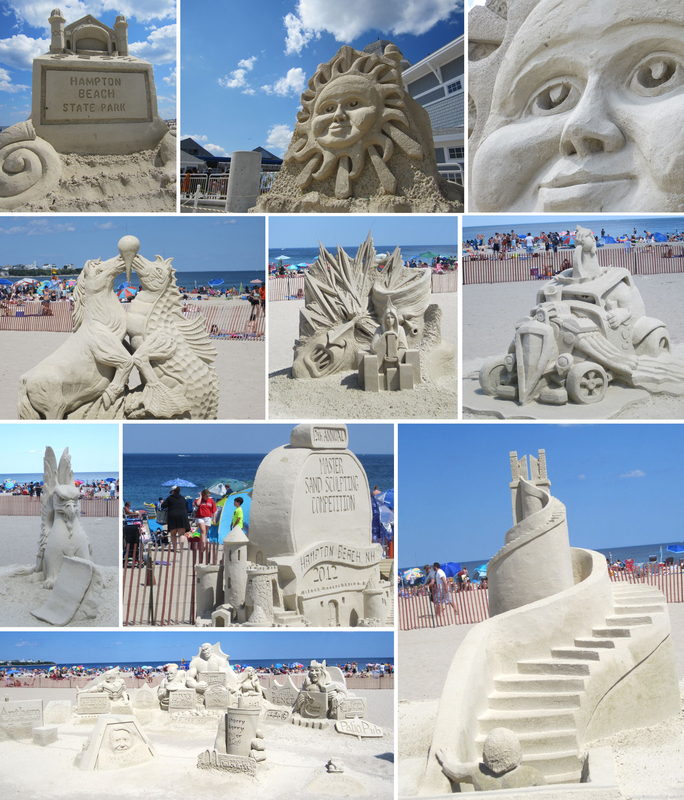 I’m originally from northeastern Massachusetts and Hampton Beach State Park and Brown’s were so much a part of my childhood and young adulthood. Love your pictures! Thanks for sharing them! Love that panoramic view of the estruary 🙂 I love Brown’s too!! I’m heading up to Maine to board the bounty as you’ve probably been told, you better believe I’m going to have me some lobster! ← Is that color I am seeing?